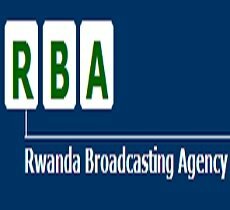 General TV Channel / Radio Rwanda is a radio station of the Rwandan Broadcasting Agency (RBA), a public broadcaster that also owns Rwandan Television (RTV), Magic FM and other public radio stations. Before the attack of the Rwandan Patriotic Front (FPR) on October 1st, 1990, Radio Rwanda was the only national radio station in Rwanda, which represented both the views of the state and that of the party in power. Shortly after the start of the war, the FPR created its own radio station, Radio Muhabura. In March of 1992, Radio Rwanda began to broadcast false information regarding the possible assassination of Hutu officials, after which many Tutsis were consequently killed in the Bugesera region. Radio Rwanda was reestablished between 1997 and 2000, with financing from the German government. Today Radio Rwanda is the main radio station of Rwanda with 5 local branches in Rubavu, Rusizi, Musanze, Nyagatare and Huye.